Have you ever been so caught up in someone else’s story you were living it? Do you ache for something that feels more real than the life you’re living? If you ever wondered whether there was something more, someone amazing waiting for you that could quench your desire to be fully alive again, if you wondered whether there is such a thing as soul mates or “the one,” Union will assure you that you are not alone. Author Kimberly E. Powers shares raw truths and honest humor through her often reluctant journey to understand the ache and loneliness she felt in her seemingly perfect life. What she found revealed the nature of relationships — with herself and others. She found the answer in the 2010 movie Eat, Pray, Love. The advice given to Elizabeth Gilbert by Ketut, “Sometimes to lose your balance for love is part of living balanced life” would haunt Kimberly’s mind and change her destiny. 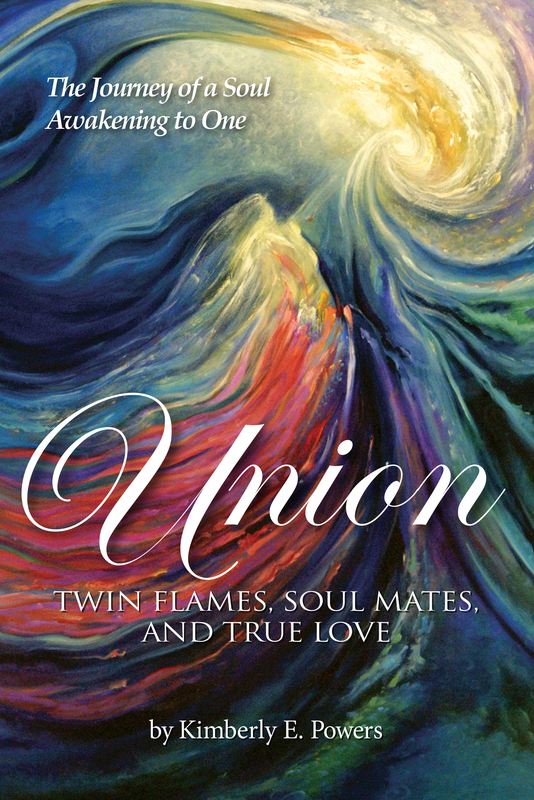 Recognizing this story as her own — only much less glamorous (without the travel to exotic places but rather in a normal town as a single soccer mom with two sons and an advertising agency) — Kimberly embarked on a dream she almost didn’t dare to want: finding her Twin Flame. What she believed would be her destination was only a layer of the journey into her heart and the understanding of the truth of soul mates, twin flames, and the falling in union with One.